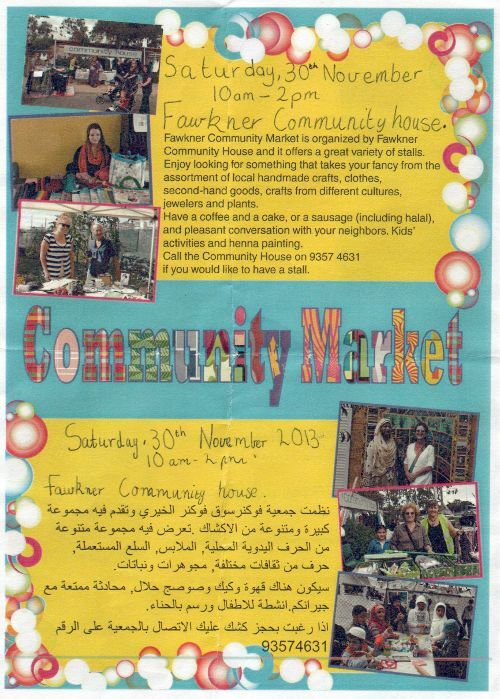 Fawkner Community Market is organised by Fawkner Community House and it offers a great variety of stalls. Enjoy looking for something that takes your fancy from the assortment of local handmade crafts, clothes, second-hand goods, crafts from different cultures, jewellery and plants. Call the Community House on 9357 4631 if you would like to have a stall.